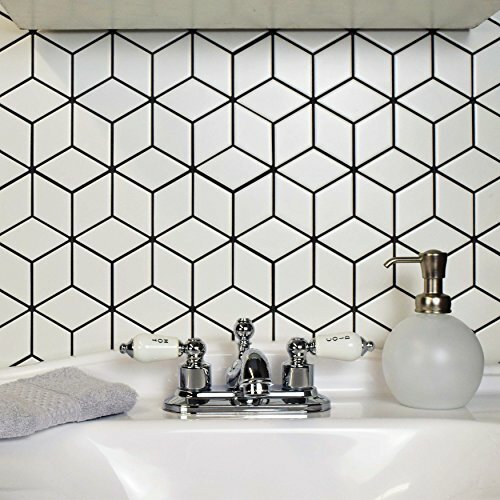 Product prices and availability are accurate as of 2019-04-19 03:09:54 UTC and are subject to change. Any price and availability information displayed on http://www.amazon.com/ at the time of purchase will apply to the purchase of this product. 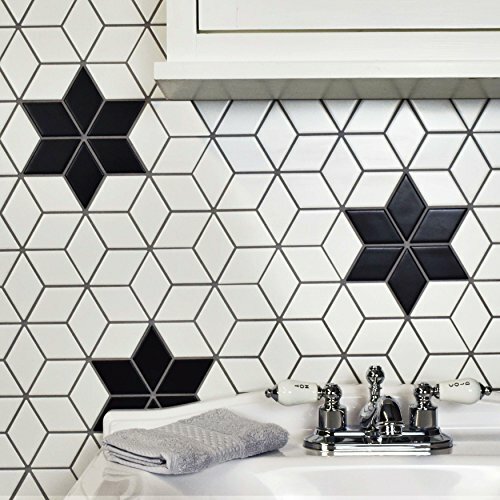 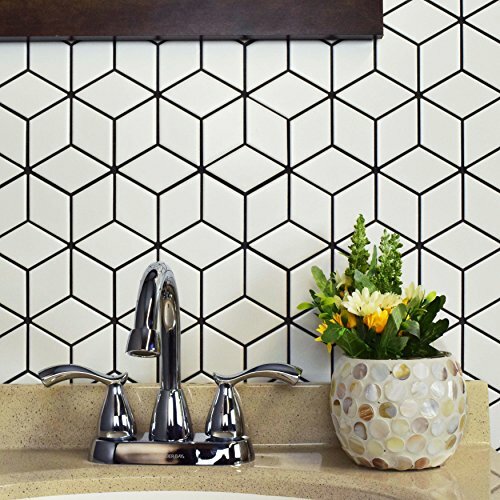 Featuring a modern geometric design that takes diamond-shaped chips to create cubic shapes, The retro rhombus Matte White porcelain mosaic is great for most residential installations. 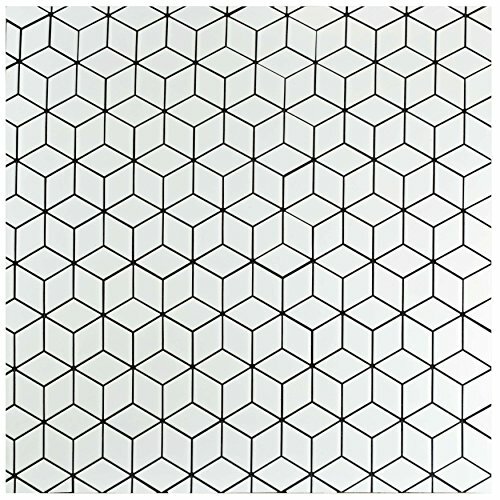 This matte porcelain tile offers an impervious water absorption rating, making it suitable for interior or exterior use. 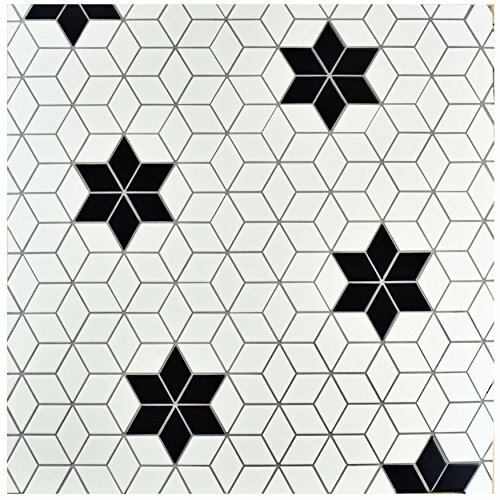 A mid-level durability rating makes it suitable for all residential floor Use as well, including kitchens, Showers and bathrooms. 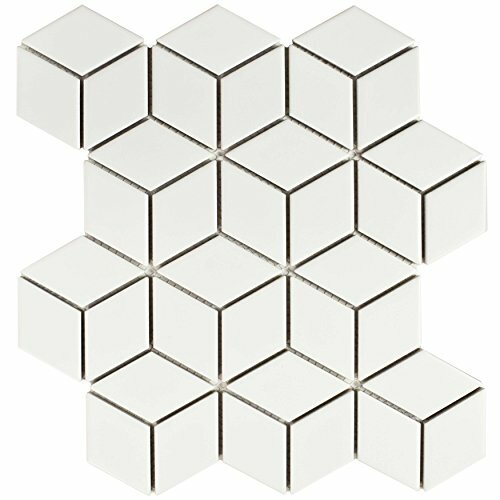 If pairing with other products in our Retro Rhombus series, please consider that all formats and thicknesses may not be the same.